Music plays an integral part in Hindi movies. No piece of entertainment is ever complete without a heavy dose of gaana-bajana. 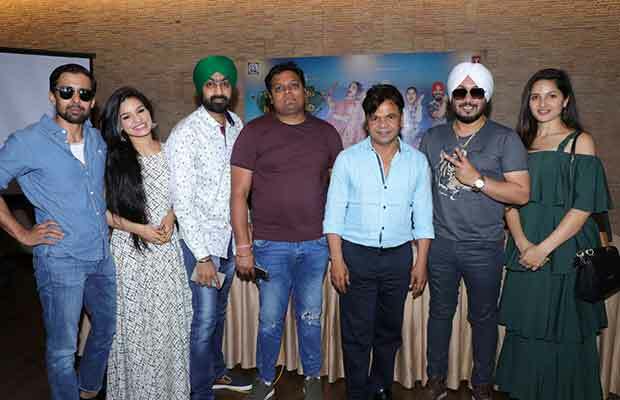 The Rajpal Yadav starrer upcoming comedy drama ‘Shaadi Teri Bajayenge Hum Band’ Press Confrence held on 9th march 2018 at the Reheja classic club Andheri west Mumbai.Raj Pal yadav is played key role of the film as sefi Don share his experience with Media Well-known Punjabi singer Daler Mehndi has sung the title track for this film that was recently released. Previous articleJacqueline Fernandez Is A Pioneer When It Comes To Recreating Iconic Bollywood Songs! Next articleShraddha Kapoor Calls Out For Humanity Day!